I guess it goes without saying that ever since I started working in an office environment, I've been wearing makeup like everyday. The past 2 months was all about adjusting to new environment, new routine and the need to wear makeup to work has gradually increased from week 1 to week 9. As I never really have proper makeup routine or set an everyday makeup look, I went on research on basic daily office makeup and one thing that came out the most was pulling a natural look i.e. natural eyeshadow colours, natural looking base foundation, and the need to have proper scent or perfume on you throughout the day. 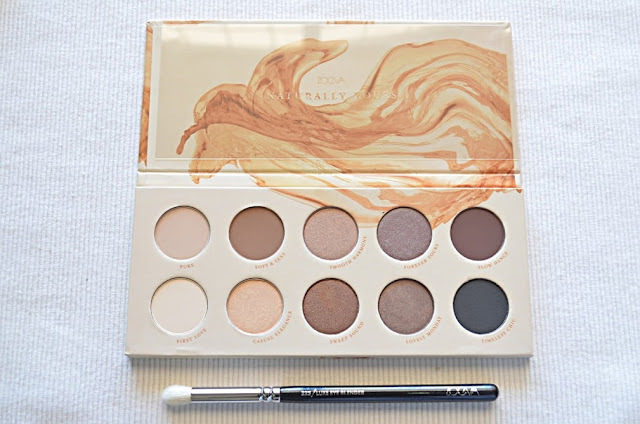 For base, I'm going with foundations that I already have in my makeup collection and I don't feel the need to buy new ones but I do want a nice and easy eye makeup look that I can wear everyday in the office and when I saw this ZOEVA Naturally Yours Eyeshadow Palette in Sephora, I fell in love instantly. After I'm satisfied swatching and trying the colours at the store, I went online and ordered right away as there was no stock available at the store. I picked up an eyeshadow blending brush together with the palette, Zoeva 225 Luxe Eye Blender and this does blends my shadows beautifully. 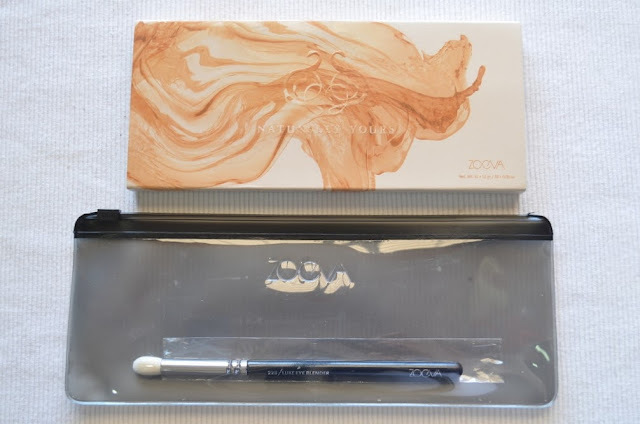 I'm still a beginner in makeup and I'm quite heavy-handed while doing my eye makeup so I have to pick up the pigments little by little and blend the colour with this brush until there are no harsh lines when I layer two or more shadows. This is indeed my first palette from the brand and I gotta say that I'm obsessed with the buttery texture of the shadows. As I have double eyelids, I don't need glittery shadows a lot and I'm glad that half the shades are matte while the other half are shimmery. The colours are deep enough for a medium-skinned girl like me to pull off and I do think all the colours are wearable. To ensure the shadows stay long on my super oily lids, I use my absolute favourite Etude House Proof 10 Eye Primer. They don't crease till the last hour before I need to get off work. Little touchup is needed though whenever I'm hanging out with friends at night. When it comes to perfume, I have lots in my collection. I do like oil perfumes and EDPs but for work I choose to just go with EDTs and body mists as I'm comfortable with applying every few hours. That way, I can refresh myself as well. I got myself the Fleur de Cerisier (cherry blossom in French) variant from Solinotes Paris back in February and I just love the concept of layering one perfume with another but wearing one on its own is still suffice so I went on and picked up (you probably saw this coming knowing I'm obsessed with this flavour) Vanille and Fleur D'Iris. The vanilla scent for Vanille is just purely sweet with a tinge of musky feeling. I've been a fan of the scent and flavour since forever and it's still growing on me. My all-time favourite for vanilla-scented perfume is definitely from The Body Shop and I just finished the body mist so another reason to grab this one from Sephora. 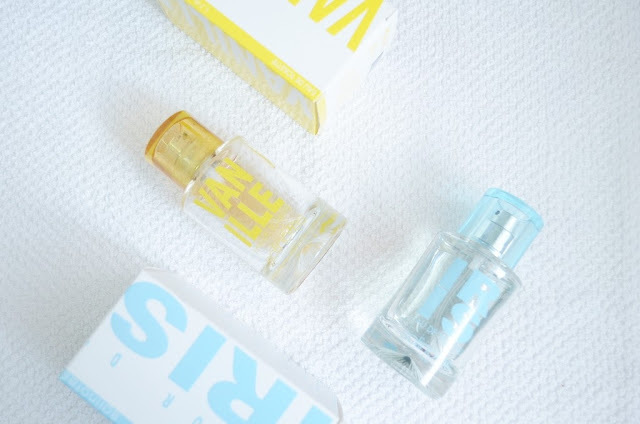 As for Fleur D'Iris, it's the first time I bought an Iris-scented perfume and I couldn't just not obsessed with this. If you must know, I only like floral-based perfume and this started growing on me after several time of wearing this to work. I heard Iris is the second most-loved flower in the world after rose and I couldn't agree more. Though cherry blossom is my personal favourite for years but the scent of this perfume appealed to me on the first time I smelled it and as I feel that it gives me sense of mystical, elegance and formal, I think it's befitting the role of perfume that I can wear for work. That's all for this month's haul! 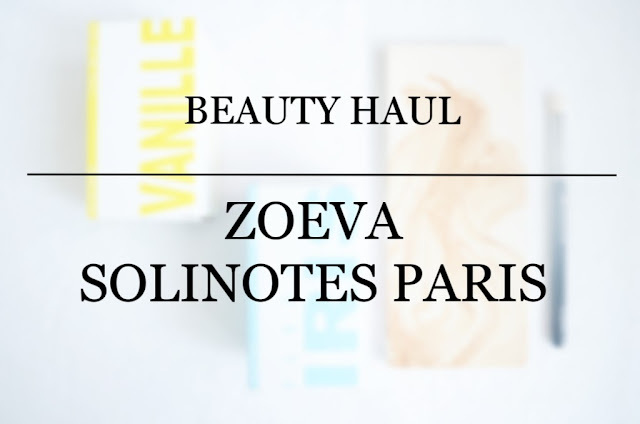 Hopefully you enjoy reading this post and let me know your thoughts on daily makeup look and your choice of perfume for work by leaving down comments down below.